Just a few hours after his son, Andrew, was inaugurated for a second term as New York governor, former Gov. 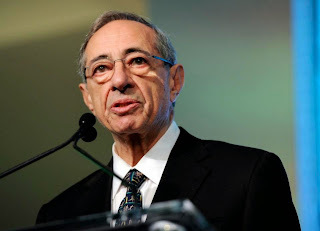 Mario Cuomo died on Thursday, Jan 1 at age 82. By this posting, it was not publicly disclosed how he died. The elder Cuomo served three terms in office, from 1983 to 1994. He retired from politics after he was defeated by George Pataki in a bid for a fourth term. He had turned down several invitations to run for president throughout his career. At the inauguration Thursday, Gov. Cuomo said, "We're missing one family member. My father is not with us today. We had hoped he was going to be able to come; he is at home and he is not well enough to come. We spent last night with him ... we stayed at my father's house to ring in the New Year with him."